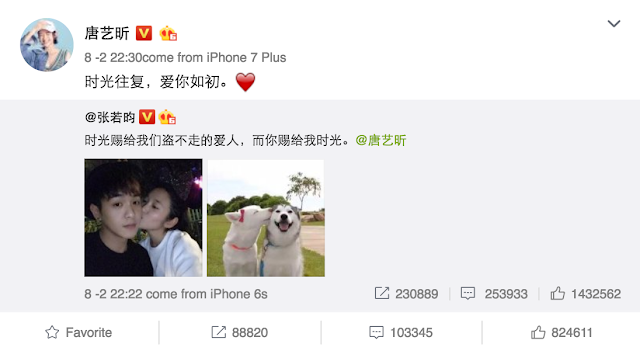 Aww, this definitely counts as a formal admission as Zhang Ruo Yun uploaded pictures of Tina Tang kissing him on the cheek right beside a picture of two dogs doing the exact same thing. 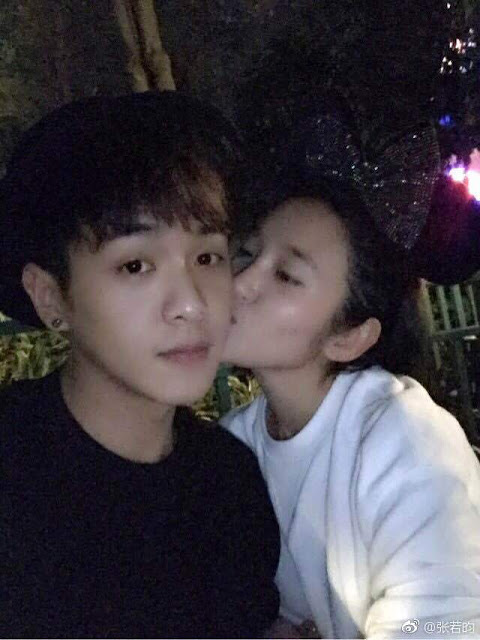 It was captioned, "Time gave us a lover that cannot be taken away and you gave me time @TangYixin." She responded, "Time moves back and forth, love you just like before." 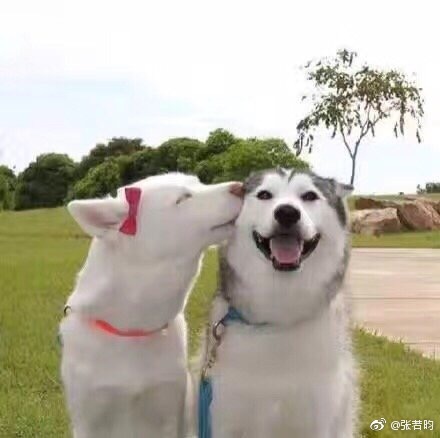 Their decision to share their dating status on social media doesn't exactly come as a surprise to anyone because the couple have often been spotted together. It was something everyone simply knew already even though it's actually their first time opening up to the public about it. Both are said to have been dating for six years and no, their management company has denied that the announcement has anything to do with marriage. Ha, that's exactly what crossed my mind too. Congrats to them! Both are versatile actors who have attempted a variety of roles and genres and they make a very talented couple indeed, not to mention that they look super cute together. 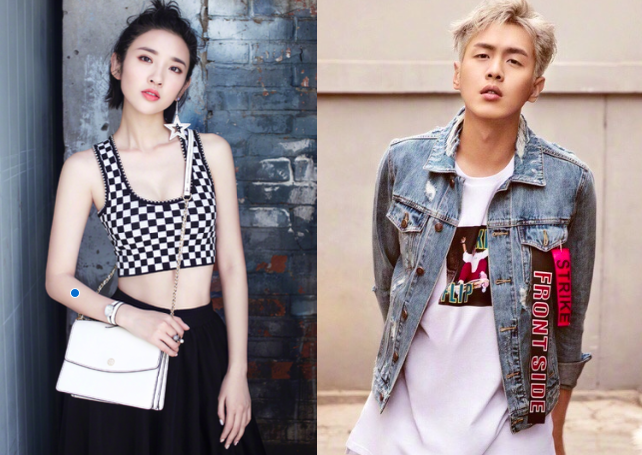 He will be appearing in The Fated General opposite Rachel Mao Xiaotong and she will be appearing in Rule the World opposite Raymond Lam.